It is our mission to contribute to the sustainability and collective health of the environment by repurposing wax into high-quality products, by encouraging community gathering and giving, and inspiring fun, joy, and creativity through our unique process. Learn about the importance of recycling candles. Become informed on how wax-waste affects the environment and how small efforts can make a big difference. 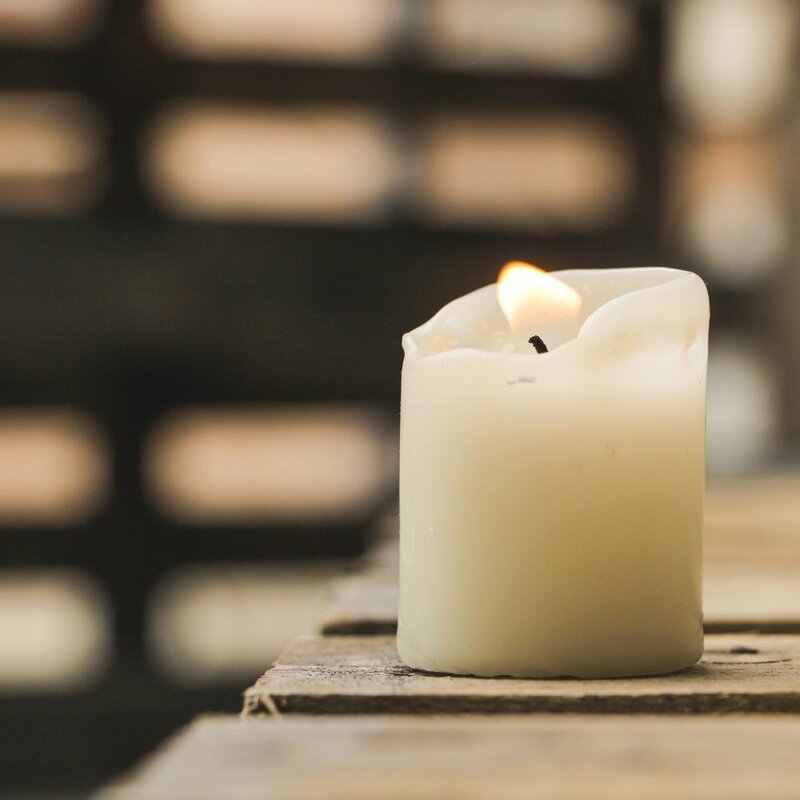 We offer a variety of candle-making workshops including corporate team-building, fun kid's camp activities, festival booths, and private events. Want to donate your wax? Now you can drop off or schedule a pick-up your leftover wax. Discover when and where you can donate here! Spread the Light Candles believes in creating a sustainable future and the betterment of our community through charitable giving, providing a source for businesses to recycle their candle wax, and elevating our youth through educational artistic activities. Not only do we donate a portion of profits to charities that are important to us, but we also partner with organizations to raise funds for their causes. Over the last several years, over $1,500 has been donated to: PeaceWorks and the Mountain Peace Shelter, Hearts 'n' Hands Work Enrichment, Eating Disorder Foundation, BV Hope, Intermountain Humane Society, breast cancer awareness, and other organizations. You can feel good knowing that with each candle purchase and workshop, not only are you recycling valuable material, but you will be giving back to the community. Spreading light means: Repurposing valuable material from the community allows us to involve the community in a valuable way. Learn how you can participate in a workshop! Spreading love means: We set aside a portion of each sales at each event to benefit charities close to our heart. You can partner with us to raise funds for charities close to your heart. Please contact us to learn more. You can help us Spread the Light. Experience our exclusive, interactive 'Candle Creation Station' - a unique, "Build Your Own Candle" Pop up Shop where you can craft a 'wax work of art'. Find out where you can find us at an upcoming workshop. We bring this tactile and engaging activity directly to YOU! Whether it's something unique for a large group of kids; or an enlightening experience for a women's conference; or as a platform to raise money for your cause and spread awareness. The possibilities are endless. Contact us to schedule a private workshop. Whether for resale on the shelves of your own small business, or as a large volume of affordable client gifts, we have created a variety of beautiful, long burning candles for wholesale. Contact us for more details. From candles used in churches and restaurants, weddings and other large events, there is no shortage of leftover candle wax. Find out why it's important to recycle or contact us for more details.